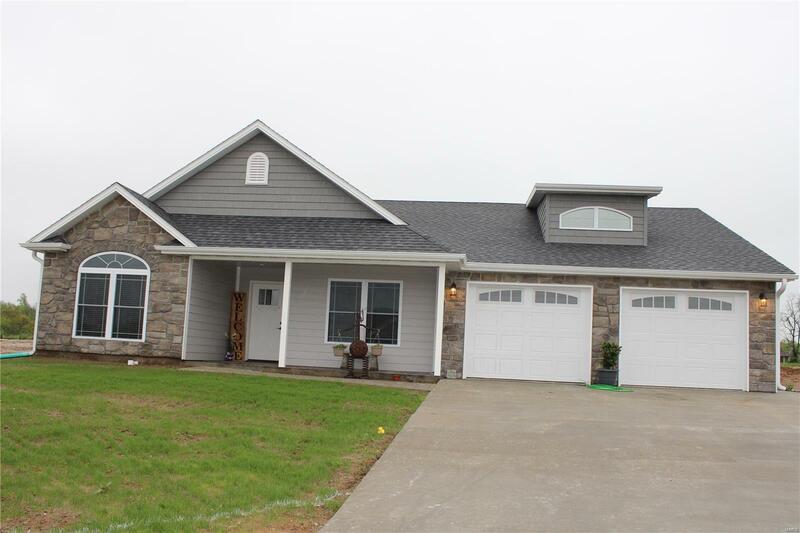 New Construction home waiting for a buyer located in one of Hannibal's newest building sites, Fette Subdivision. This open concept design offers 1748 sq ft. with a split bedroom plan. The large kitchen will feature white shaker style cabinets, granite counter tops, and stainless steal appliances. The living room is flooded with natural light, carpet and a tray ceiling. The dining room walks out to a stamped concrete covered patio. The master bedroom features a large walk in closet and the master bath has a double vanity, and full tile shower. The oversized garage will fit large trucks or SUV's and pull down stairs that lead to the floored attic space offering lots of storage. Want to view top notch construction? Call today! Property hasnât been assessed for tax purposes.